July Fourth is a celebration of our nation’s independence, where people of all ages are decked out in their red, white and blue for barbecues, picnics, fireworks and the occasional pool party. It’s a holiday where everyone seems to have some sort of celebration to either host or attend. And since the holiday falls on Friday this year, it also means that some will celebrate all weekend. 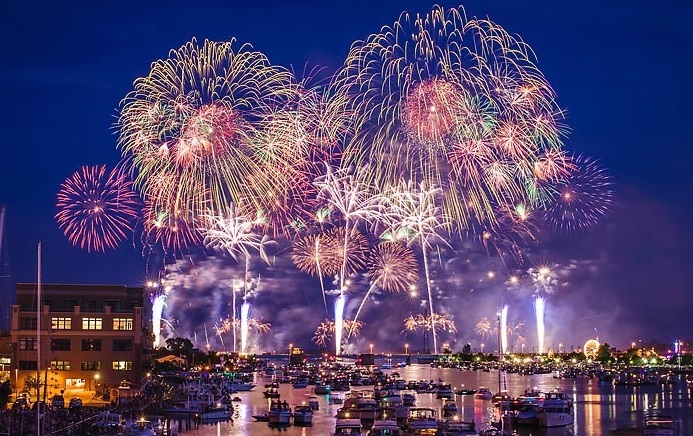 As we draw nearer to the big weekend, millions of Americans are putting the finishing touches on their preparations for the July Fourth holiday. In keeping with the spirit of the holiday, the folks at Synthetic Turf International want to give you five ways synthetic turf can improve your next July Fourth Celebration. 1. Synthetic turf requires virtually zero maintenance. You won’t have to spend hours mowing and weed-eating to get your lawn ready for the big day. You’ll have more time to plan your party, more time to spend with friends and family and more time to plan your amazing fireworks show. 2. Fewer Pests, less bugs. With a synthetic turf lawn, you won’t have to worry about the multitude of pests that infest natural lawns. Ants won’t interfere with your picnic plans, and other insects will be less likely to migrate your way. 3. Green, lush lawns are perfect for all kinds of summertime activities. Whether it’s just a simple picnic, or a massive neighborhood barbecue, synthetic turf provides a clean, pesticide and chemical free area where children can run and play, adults can kick off their shoes and feel the turf between their toes and everyone can kick back on a blanket and watch the neighborhood fireworks display in comfort. 4. Water activities are much cleaner with turf. When you have synthetic turf around your pool, there’s no need to worry about grass clippings, dirt or other debris being tracked into your pool. Turf is a great option around swimming pools. Don’t have a pool? Maybe a Slip and Slide or just a sprinkler for the kids to play in. With a natural grass lawn, you’d be worried about the muddy mess that they might create. With synthetic turf, there’s no need to worry. The water drains through quickly so there’s no muddy mess. 5. Putting Greens add another level of fun for all ages to your backyard. With a putting green from STI, you can set up a putt putt course for the kids, or have a friendly challenge among friends. 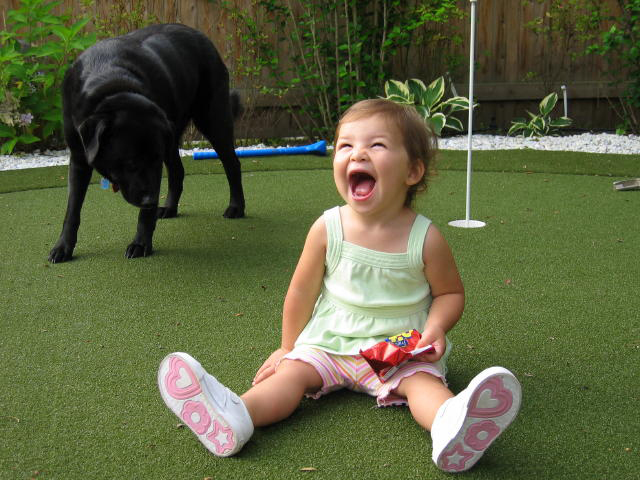 Children, pets and neighbors all enjoy playing on a synthetic putting green. STI offers a variety of different applications to meet your needs, and exceed your expectations. Synthetic Turf International would like to wish everyone a safe and happy July Fourth Holiday! !